On the surface, Millennials may seem difficult to understand and do business with, especially if you are not one of them. But the secret is how to Communicate and Sell to them effectively. Behind the Millennials is Gen Z (1996-2010) they too will be entering the buying realm soon and guess what, they will probably be even worse, they grew up with a phone in their hand literally for entertainment. The reality is they are your customers and they want what they want and they want it in their own way. Most likely they won’t like your style if you are using the same method as older generations. So I ask you, what are you doing to make the shift to communicate with these very different buyers? By different I mean different from Boomers and GenX? The Bottom line is, the Millennial is the new customer, and they’re not going away. In fact, according to Forbes, Millennials will make up 50 percent of the population by 2020. This generation will grow significantly over the next decade and eventually become the new employers of the future. When you think of their children growing up and entering the buying scene, well we need to change up how we are selling homes and mortgages completely. Buying a home and obtaining a loan in the future will be very different from how it is now. It has to change, it’s part of our world. Think about how we have switched up from a pile of documents being hand delivered through a courier for signing at a title office or lawyer, to today when E docs take place over the internet or on your phone. Mortgage files were 3 inches think now they are paperless. That was not possible 10 years ago. So why are we selling to Millennials like a Boomer or every other generation we have encountered? They are not Boomers? They are totally different and unique. They have unique buying signals and we as an industry, are ignoring them. We miss them daily. We really do. An Agent in a community will most likely sell the same to any given buyer, not thinking about the differences. We are selling just like we always have. Home Builders, Sales Agents, Realtors and Lenders need to listen up, pay attention and change up many of the things we are doing going forward. When you SELL HOMES, the most expensive purchase that anyone will make in a lifetime, to different generations, you need to know how each generation BUYS and adjust your sales routine accordingly. Millennials are your future customers; let’s see some simple things we can do to SELL to them. When a Millennial walks in your door be ready. They have already shopped and are there to confirm the purchase. They may have a few questions but they wouldn’t be there if they were not VERY interested in your home. So know that. It’s very different from the Boomer who may roam around aimlessly shopping for homes. Your website better be great or you may not get a second glance. It needs to be geared towards a Millennial buyer because that’s who will use it. If you can have a ”live“ response person for inquiries, all the better. They are online and they want the best deal, for their home and for their loan. So be ready for it. Remember they have already shopped it out and have much more knowledge walking in the door. So a smart Agent or Builder will hold back some negotiation tactics just for this reason. Don’t spill all the beans as soon as they walk in the door. Hold back your Sales Tools! In this aspect I think Millennials are easier than Boomers. Not so much paperwork! Texting is the #1 way that most Millennials will want you to contact them. But make sure to confirm that when you communicate with them upfront. Video is a great way to send updates on construction or loans but make sure to have your video email branded so when it hits social media your name and contact information is there. Now with that said, I don’t want you to go so far as to think your relationship will begin and end with emails, texts and phone conversations with these buyers. They still are first time homebuyers and excited to be buying their first home. There are many cool ways Agents can update their millennial hard drive in their sales routine, just by changing up your communication to Text, Email and Video with a few occasional calls. I propose blending in a few ideas to utilize technology and apps for Marketing, Efficiency, Follow Up and response times. It’s not that hard. Now here is another big difference. Millennials work at warp speed. The quicker you get back to them the better you will stay in the race. By quick I mean 2 to 3 seconds… Really! Think about it. How long do you look at a site before you get bored and move on. I will tell you, its 12 seconds and changing by the day. The average adult has an attention span of 8 seconds. Millennials are not average and expect fast, fast, fast responses or they are gone, gone, gone! So make your follow up and response time as quick as them driving out of your driveway. The same goes for your website inquiries. Your website team needs to be wicked fast on responses or your website is a waste of time for this generation and all generations after them. This applies to Realtors, Builders and Mortgage Lenders. If you don’t play along on this one tip, you will lose the sale. Now finding ways to celebrate their special moment is the key to getting referrals. Taking and sending pictures and video of important stages of construction is easy and virtually free. It’s great follow up for a client who can’t be there every day. Another simple nostalgic idea is to have a ribbon cutting ceremony for your buyers at each closing. Again take tons of video and pics and send them as closing gifts. It’s inexpensive and your buyers will post them to social media and keep them as memories. Ribbon is inexpensive and so are scissors, photos are free; but it’s the celebration of the moment that counts. Whether they are Millennials or not, they are all excited to be buying a home, so help them celebrate that. Speaking of nostalgia and closing gifts, I love www.personalizationmall.com for doormats, address flags, blankets, coffee mugs, picture frames, you name it, and they will customize it for your new buyers and make them feel welcome in their new home. They are fast, affordable and easy! 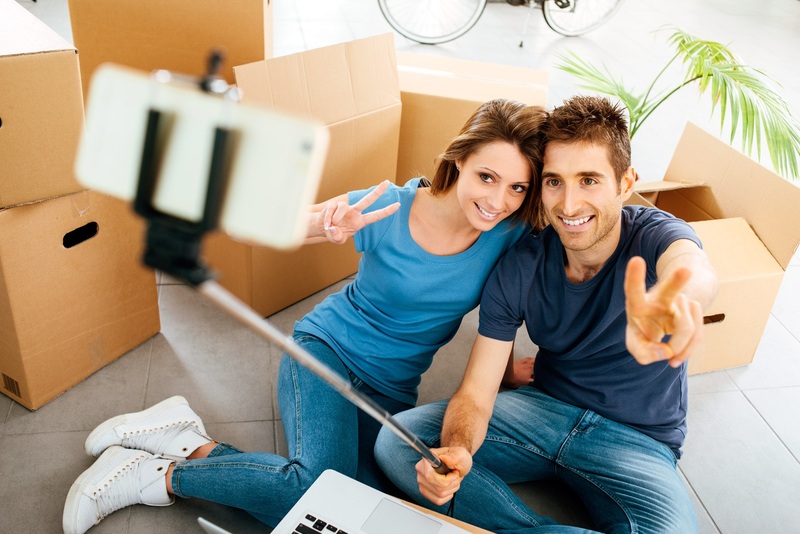 There are a lot of simple, easy ways to help celebrate the dream of homeownership and make memories for all of your buyers. Social media can be an amazing tool for referrals and getting the word out, about what you do and how well you do it. So make sure to brand everything you send or don’t send it. Remember Millennials are not just here today and gone tomorrow. They are our future employees, employers and our buyers now. Technology and the speed of how we operate is NOT turning backwards. It’s only going to get faster and more competitive, so let’s do our best to sell properly to each generation we encounter and make some Happy Home Sales with Happy Buyers no matter what generation they are!